The current squabble going on in Singapore between the children of patriarch Lee Kuan Yew, who died last April, is yet another indication, if any were needed, of the extraordinary litigiousness of the Lee family, which now seems to be caught in its own embarrassments, and which included a marathon pursuit of a British neurologist which may have been the only case the family has lost. The case wasn’t adjudicated in Singapore. Three times in the previous decade, Lee and his son, current Prime Minister Lee Hsien Loong, sued for defamation over insinuations they were building a dynasty in Singapore. In 2005, the Lees and former Prime Minister Goh Chok Tong took after the International Herald Tribune and columnist Philip Bowring (disclaimer: Asia Sentinel co-founder and contributing editor) for an article which said: “Dynastic politics is evident in ‘Communist’ China already, as in Singapore” and won S$950,000 in damages. In 2010 the parent New York Times Co. settled out of court over a second story by Bowring which asked, “Are political dynasties good or bad?” and collected another S$160, 000. The second story never mentioned the word nepotism in connection with the two Lees. In 2007, the Financial Times set a new standard in apologizing for an article in which there appeared to be no libel. The article merely listed the names of Lee family members in high positions in the island nation. An obviously ruffled Hsien Loong took to Facebook himself to say the accusations “are completely untrue” and to say the government is a strict meritocracy. Wei Ling also charged that when she submitted an op-ed piece objecting to “hero worship” of the elder Lee to the Straits Times, which remains uniquely supine to government wishes, the editors cut it so severely that she withdrew it and announced she would never write for the paper again. Hsien Loong’s wife, Ho Ching, the chief executive officer of the Temasek Holdings sovereign investment fund, then posted a picture of an angry howler monkey on Twitter, then hastily withdrew it, saying she had made a mistake. Wei Ling riposted by making public correspondence with the Straits Times editor that included her accusation that Hsien Loong was out to build a dynasty, which was also later withdrawn from Facebook. In addition, Lee Wei Ling and Lee’s younger son Lee Hsien Yang last year asked the courts to restrict all rights to the Lee estate for interviews given to the Singapore Oral History Department between July 1981 and July 1982. They are also seeking to restrict access to use or provide copies of the transcripts until five years after his death, according to a filing in the Singapore High Court. Using the island’s tame courts, the Lee family has sued a wide array of international publications for a wide variety of reasons including nepotism and other issues. Besides the New York Times and the now-defunct International Herald Tribune, they include the Wall Street Journal, the Asian Wall Street Journal, Time Magazine, the Economist, Asiaweek and the Far Eastern Economic Review, now both out of business. The one time the family has been thwarted in suits took place outside of the county, in the UK, when Lee Mei Ling, with the government’s help, pursued a prominent English neurologist and expert on epilepsy named Simon Shorvon, in a protracted suit in which the Singapore Medical Council alleged Shorvon was guilty of professional misconduct. In a written decision handed down in January of 2007 (decision here), the British High Court effectively ended Singapore’s pursuit of Shorvon, the former principal investigator of a medical research project in Singapore. Using a combination of tax holidays and other incentives, Singapore sought to attract some of the world’s major pharmaceutical companies and distinguished researchers to conduct basic drug research and development. Some 30 companies responded. Among those the government lured was Shorvon to head Singapore’s National Neurology Institute in 2001 to conduct a wide-ranging joint research project with the University College, London, into the ravages of Parkinson’s disease. According to the findings of the UK High Court, Shorvon was “a highly accredited and world-renowned researcher in this field” when he was appointed principal lead investigator. 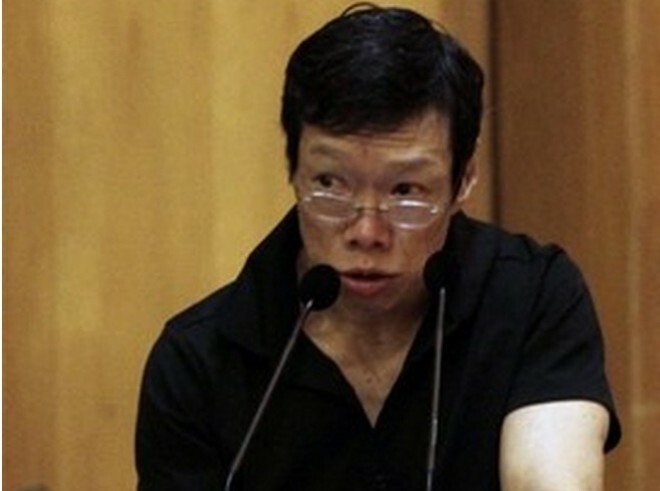 Shorvon set out to conduct the study with Lee Wei Ling, who would later resign. Ultimately, the project collapsed in 2002 in a storm of controversy when the neurology institute, urged on by Lee Wei Ling, brought 30 charges against Shorvon alleging patients had been recruited to take part without the knowledge or consent of their treating physicians and without the patients’ fully informed consent. It was also charged that Shorvon or researchers under his supervision had altered patients’ medication without their knowledge or the consent of their physicians. After months of controversy, in 2003 a Singapore panel recruited by the Neurological Institute held an inquiry and reported that “the research was carried out in serious breach of ethical guidelines which are applicable in Singapore as well as internationally.” Patients’ rights were said to have been disregarded and their safety and wellbeing were compromised, the panel found. Also, patients’ records were allegedly disclosed without their consent, according to the panel, and no ethics approval had been obtained for testing a Parkinson’s drug called Levo-Dopa. Shorvon contended that he had never been shown the inquiry’s terms of reference or the specific allegations against him. He said he was given no advance disclosure of documents and was asked to comment on them without notice. Nor, he said, was he given a chance to respond to the inquiry’s allegations before they were pronounced. He never saw the report until after it had been signed, he said. Shorvon signed and left. He was succeeded as director of the Neurological Institute by the Lee Wei Ling. But that wasn’t the end of it. An inquiry committee of Singapore’s Ministry of Health issued its own report in March 2003 that contained no personal censure of Shorvon – only to have individual members of the committee two months later issue a supplemental letter that did criticize him. A subsequent Singapore medical council hearing predictably concluded that Shorvon had failed to safeguard the best interests and health of his patients and had exposed them to unnecessary risk. The council demanded that Shorvon’s name be removed from the register of medical practitioners in the UK, that he be censured and that he pay costs, which he did under protest. That got the General Medical Council, the UK equivalent of the Singapore Medical Council, involved. The UK medical council screened the Singapore proceedings and documents and referred the case to a professional conduct committee. Ultimately, the GMC concluded it was not in a position to prove Shorvon was guilty of misconduct and in 2005 it told the Singapore council it was cancelling the proceedings. Adrian Williams, a professor of clinical neurology at the University of Birmingham called as an independent witness for the general medical council, said he would not dispute what he called “the clear-cut facts of the case,” but said the alleged offenses were so minor that they weren’t worth bothering with.